One thing that I’ve been enjoying here is participating in being part of a family that genuinely wants me to play with their children in both Spanish and English, to be natural and myself around them – and learn with them together. In school I listen all day to the children and try to pick things up, but there are many things I’m finding myself missing from school days in England. Being in a primary school makes you nostalgic, and I really wish the children had a similar point of reference to me at times, so I could play games with them, know the equivalent of silly kids’ rhymes, and so on, and so forth. Tonight I’ve been doing hand clapping games with a three year old and a five year old, which whilst it might seem a little immature for a twenty-two year old to do, is actually really useful for my Spanish learning. I pick up words and the rhymes stay in my head, plus I have a lot of fun with it which is nice for both me and the two girls. Even the boy participates sometimes when he’s not caught up in Scoobidou. I remember fondly the days of oranges and lemons, say the bells of Saint Clements. I have been able to indulge a little bit in children’s clapping games in English, what with two native English children fresh off the plane moving here this year, and an English theatre company who came to tell the story of Treasure Island, which conveniently included the ‘A sailor went to sea, sea, sea’ rhyme that I remember so well. Apparently they play this one in Spanish, too, but I’ve never heard it. Tireless the world over – you can keep your video games, as far as I’m concerned. I think that clapping games are actually overlooked as a classroom idea; I’ve learned a lot from them and I’m absolutely certain the children learned from ‘A sailor went to sea’, as they wanted to do it so much and they learned what the words meant through doing it frequently, with explanation. It practices homophones, too, so I would be keen to teach it in the classroom as a fun activity to introduce the crazy world of the homophone, of which we have so many in English. Here’s some examples of what I hear in the playground, and what I’ve been clapping away to this evening. As soon as I’ve learned the words by heart, I’ll be teaching it to my children, you can bet, as an easy and fun way to learn Spanish. Learning through song and rhyme makes things more easy as you genuinely don’t feel like you’re actually doing any work to remember it. The way rhymes work makes the words stick in your head, and they certainly will be staying with me for a while yet, I’m sure. There has been an assassination. 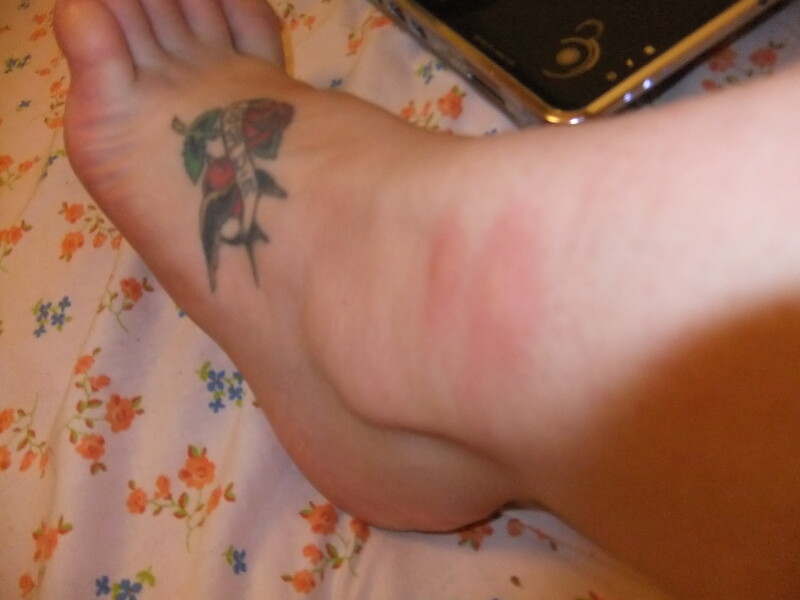 Poor point of the shoe! Se escribe con ‘’H’’ che-che. Now, I don’t know if this is a raccoon or a type of Native American, but I’m going to go with raccoon, just because I would like it to be about that. It just means that the word ‘mapache’ – raccoon – is written with an ‘h’. Don Federico metó a su mujer, la hizo picadillo y la puso a cocer. This one is actually much longer and you can view it here. 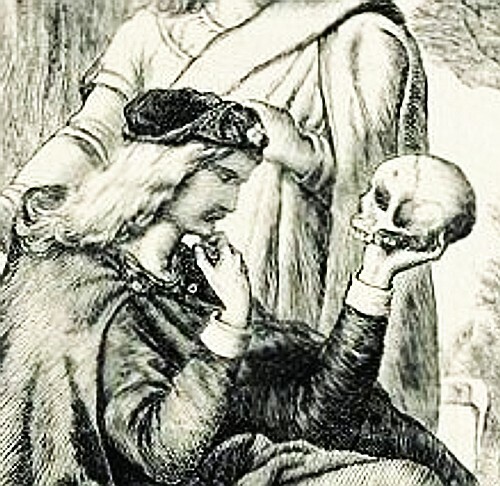 However, I included it because it made me laugh; it means Don Frederico killed his wife, cut her up into small pieces, and started to cook her – I thought it was humorous content for a children’s rhyme. It then says that the people who passed started to smell her, that it was his wife who did the cha-cha. The wonders of children’s rhymes never cease to amaze me – but at least I’ve learned how to use various forms of the verb ‘matar’!. I had been prepared that naturally there would be differences in the education system to our own here in Spain, and was keen to see what they were. Questions were on my mind when I first arrived. How did other countries educate? How different would it be to my schooling career? What would the behaviour of the children be like, and how would they be disciplined? Children tend to be similar the world over. All in all, it depends mostly on how they are treated at home. We have become very different to the ‘children must be seen and not heard’, and now, children are expected to be themselves, allowed to enjoy the most of their short childhood. There are obvious differences and similarities here; as mentioned before, the school hours are something that was quite strange for me to get used to, but in general the children attend school for a similar amount of hours as our British children. One thing I’ve not been able to get used to is the idea that children are able to call teachers by their first name – it’s no ‘Miss Lawrenson’ here, or ‘Mr Rodriguez’. Even the head teacher is known to the children only by her first name. I don’t know the reasoning behind this, but for me it seems very informal; an idea that they are trying to get the children to look to them as an equal, a friend, a chum. I remember first finding out my teacher’s first name, and how incredibly shocking it was that you knew something secret about them – I do believe using surnames commands some respect, and also shrouds the teacher in a small amount of mystery. It sets up a small barrier, and calls upon formality which should be present in a school. However, I digress. The point of me writing about the differences in the schooling system was to illustrate one matter that I have found incredibly strange and very different to the way we view education – here in Spain, the ideas such as OFSTED and constant school vigilance/assessment of teachers is almost non-existent. Teachers here are given free reign to do whatever they please. They have an idea of privacy in the classroom, that a teacher may do as they like and trust is given that they are doing the correct thing to educate the children in their class. Whilst I agree there should be a level of trust that takes for granted the idea that teachers are doing their best to teach at the correct level, the correct content and to the right ability, I find it very hard to believe, coming from a nation which constantly examines both its schools and its educators, that there is simply no method of evaluating a teacher’s performance. Not even the head teacher is ever a presence in the classroom – coming to check that their employees are doing the job they are supposed to do. I just don’t understand: in every other job, people are evaluated, checked, measured on some sort of performance scheme, given feedback, and so on. How can teachers improve here, if nobody even knows what content they are teaching in the lessons? They could be giving lectures on what they did on the weekend, for all we know. I highly doubt that they are, and this is an extreme example, but it surely could happen if nobody checks the curriculum is being followed and taught in the proper manner. I would hesitate to put my child in a school if I did not know what went on behind its doors. How do we know what they are learning, asides from glancing at their homework? I trust that the four year teaching degree they undertake here truly prepares teachers for their entire career – I only wish that type of further education was similar in England. A PGCE for one difficult year hardly seems enough to know everything there is to know about your future profession, considering how many things a teacher has to undertake. Here, like in England, teachers are viewed to have long holidays, an easy job, a good job. I call upon anybody who should say such a thing to teach in a school for a week, especially with the pay that teachers receive here. It’s lower paid than in Great Britain, and there is no rising pay-scale rewarding longer-serving teachers and educators for their input over the years. A head of department barely makes more than your regular teacher. It’s hardly worth doing it for the extra work, except of course to put it on your CV. I hardly see the point, however, in creating positions such as head of department, when one cannot even be sure what the teachers beneath you are actively doing in class. Of course, they have to be directed, and work together to choose the material and curriculum topics, the way they will study them, and the objectives they have to work toward. The idea of utmost trust and no vigilance, however, is one that I just can’t get around in my head. Whilst constant observation is not a good idea, it is equally nonsensical for me that nobody should be seeing what goes on in the classroom – education is a public service, so it should be able to be seen by everybody; what does a teacher have to hide? In private and semi-private schools, when a parent pays for the education, I would feel even more of a right to ensure my children were actually getting the education I was paying for. Marks given in class and report cards are not enough to know if a school is functioning properly and well. You can look publicly for how well a school performs in England – and I genuinely think this should be a law here. 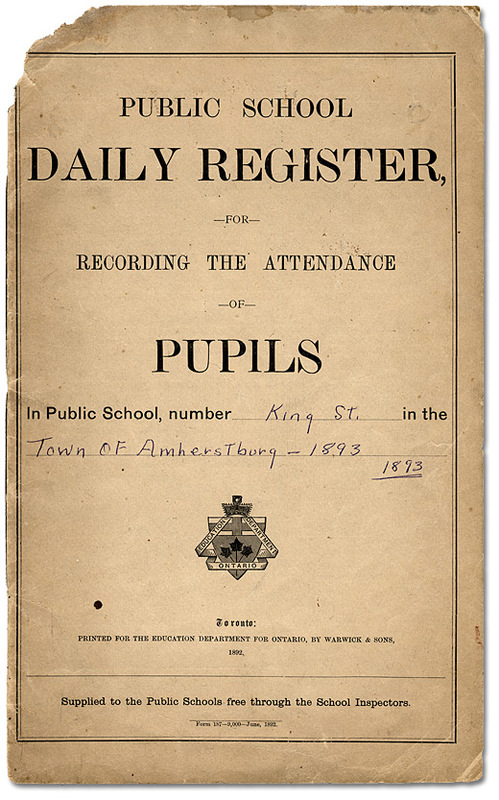 A public service should not be shrouded in mystery, and parents have a right to know what their children are doing in the long hours they are at school. I do love Spain; the people are friendly, families are close, the weather is of course fantastic, and the culture they have here is brilliant. This said, one thing I have not been able to understand is their view on education. I say this only from the point of view of being in a primary school – naturally, I have no experience of ESO, their secondary system, and cannot comment on that, but having spoken to the mother I currently live with, who teaches in ESO, I know that the privacy in the classroom idea is exactly the same. I think, too, that they need to revise how they treat their educators. Whilst Spain is having a difficult time at the moment, the people they trust to educate their next generation are underpaid, overworked, and constantly at risk of job cuts. Much like the rest of the world, I assume, but I do wish people would look at teaching in a more serious manner. We cannot survive without education; and I would hope that my children would receive a proper one, at that. I’m only a foreigner, and I don’t pretend to know everything about the systems here, or how they work; but after seven months I can truly say there are some things here that baffle me – aside from the fact that they don’t like eating curry. Author savageartsPosted on May 11, 2012 Categories Children, Culture, Education, Spain, Teaching2 Comments on Behind Closed Doors? Having been here now for over a month, I have managed to somehow settle into a routine of sorts. Of course, each day at the school is different – otherwise I wouldn’t enjoy it so much, but I thought I’d give you a taste of what most days are like for me in Spain. I also want to describe my first week’s experience with running a drama class for six year olds, perhaps so you can share my pain, perhaps so I can gain a little sympathy – needless to say, it’s no mean feat, teaching drama in a language the children have little comprehension of. I usually wake at 7am, the sound of violins plaguing the morning air, as the children of the family I’m staying with practise every single day, come rain, come shine, come Sunday. I had expected a lovely long lie-in on Sundays, snuggled in the duvet, enjoying the last few hours of darkness and warmth. However, this can’t be the case for me. Instead, I get the screech of the bow across the strings, and the shout of the mother who doesn’t want the child to play that note, that way, thank you very much. Breakfast is a scratched attempt of whatever is in the kitchen. Here, breakfast isn’t such a big deal – it tends to be rather small, maybe a biscuit, a yoghurt, oats with milk (but not hot – that would be porridge, and that would be disgustingly English), or cereal, eaten from what else, but a mug. The notion of having cereal in a bowl here, for kids, is as strange as we would find it drunk from a mug, with warm milk and chocolate flavouring. It’s essentially hot chocolate with corn flakes. Suffice to say, I don’t partake in this particular breakfast offering. Fancy a cuppa? Cereal, that is. School starts at 9am, and already by this time, my hand is aching by the amount of waving I have to do between getting out the car/dismounting the train, and walking up the stairs to the Sala Profesores (staff room). I usually have classes straight away – there’s a few lucky days where I can sit on my laptop and work in silence, preparing for the tutoring I’m doing, the Science in English (yes, you read correctly – Science classes in English) that I take twice a week with eight and nine year olds. Mostly, though, it’s class time. I’ve yet to observe a register being taken – part of me doubts that it exists as a process in Spanish schools. Class is supposed to begin at nine, but by the time the children have moved from their own classroom to the special English room, or in the case of the younger children, hung all their clothes, ‘mochilas’ (schoolbags), and sportswear on the pegs, then returned to their seats – it’s already around 9.15. Some lessons are only half an hour long, so this usually means that the class lasts ten minutes, and then the children return to their own classroom or get ready for the next lesson to begin. 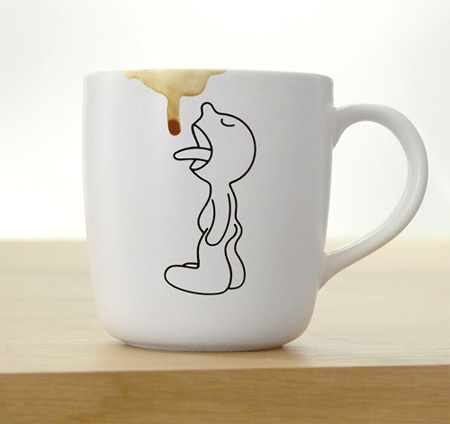 This continues until 11am, when it’s time for the first break of the day, lasting half an hour. It’s common for kids to eat a sandwich, what looks like a whole packet of biscuits, or even cereal in a tub, without the milk. Certainly a thing of the past in this school. Recently, it’s been raining quite a bit, which means the children stay inside on their break, and of course cooping them up like that makes for difficult behaviour in lessons. They’re pent up with play that they couldn’t get out the way, short bursts of energy taking over what they do inside the classroom. It doesn’t help that the discipline system here doesn’t seem to be that effective. The most ‘telling off’ I’ve seen is a list of the children’s names on the blackboard who weren’t sitting in the correct place at the correct time. It often seems that they can get away with murder: shouting, screaming, meandering around the room and corridors to their heart’s content. What I do in classes depends on the age group. From eight years old upwards, I take children out the class and practise spoken English with them. This can range from simple ‘I like hockey/swimming’, telling the time, posing questions related with ‘to be’, or starting basic grammar in preparation for ESO for the children in their last year. ESO is our equivalent of secondary school, and all the children in their sixth year here aren’t excited about learning English there – because they think it’s going to be page upon page of grammar conditioning. They’ve moved out of the ‘English is fun’ phase, because they no longer get to play bingo, or participate in a quiz show. I find them an interesting group to work with. They’re very difficult sometimes, because they don’t want to behave, but their level of English is relatively good, so it’s nice to see them put a sentence together, or the concentration on their faces when they’re struggling to get the words they want to use out their mouths. It’s also a lot more fun in other ways – they begin to understand you can have fun with English, which means we result in sentences such as ‘Miley Cyrus has got a potato nose’ when dealing with describing people, or ‘Pablo has fish eyes’. During this same ‘description’ session, I became affectionately known as ‘Blonde Giraffe’. I’m sure that they’ve called me that because I’m the only one tall enough to turn off the digital projector without using a ruler to press the button – Spanish women, and men for that matter, tend to be shorter than us. Come to think of it, they might have a point with this one. For the children younger than eight, I take the role of ‘button-presser on the computer’ or ‘skipper of the next track on the CD player’. That is, I walk around the class, and simply act as an assistant to the teacher. I rarely go out the classroom with these children, because they don’t have enough language skills to make oral expression practice worthwhile. Every morning, we ask for the weather, the date, and run through basic questions with the younger children. Whilst I appreciate they’re very young, and it’s difficult to learn another language, I can find this a little frustrating. Bear in mind they do two hours of English a week, from the age of three, and very little changes during the first few years. They start with reciting the date – which is usually quite easy for them, but then we get to the difficult part. ‘How old are you?’ ‘What’s your name?’ ‘What’s your favourite colour?’ Sometimes the children have no idea how to construct these questions, and often give the wrong answer even when it’s given to them word by word. Yes, it’s difficult – it’s another language, and I myself have problems with Spanish, but it can be frustrating repeating the same thing time and time again to no avail. Mostly the classes with the younger children consist of listening to annoying songs about crayons and toys, and reciting parts of the body like there’s no tomorrow. So, then 1pm arrives, and it’s time for lunch. Now I come to the saga of the drama classes in English. When I suggested taking these classes, I imagined doing drama with children of around 9-10 or more, where the level of English is relatively good, and they are able to understand full sentences with good ability. Others had different ideas. It seems that the family I’m staying with were keen to get their children to do drama – considering here it’s not a curriculum subject, and they don’t get much chance to express themselves in this manner. I think this is problematic, and agree they should be doing drama classes – but not in English. Imagine doing drama with a group of nine/ten children who are six years old. This is quite difficult in itself due to the attention span, the time that the children are doing the classes (it’s 1pm and their usual time for lunch, so they’re hungry), among other factors. However, when you throw in the fact that they don’t speak the same language as me, this takes an entirely new level of difficulty. I can’t imagine being able to do this all year – sure, they can play games in English, but limited ones, that they already know. They can’t do drama with a basic vocabulary of primary colours, classroom objects, and farmyard animals. We wouldn’t get much further than three sessions, tops. I’ve been shocked at the lack of organisation on the school’s part, the parents’ willingness to leave their children alone in a laboratory (yes. Laboratory. That’s where you do drama now, apparently) with a woman who doesn’t speak Spanish or Catalan and isn’t CRB-checked, nor a qualified teacher. I’m essentially just a girl who happens to have done a drama degree, and that speaks volumes amongst Spanish parents apparently, as of course that means I am trustworthy, capable, and can work miracles with a group of young children who don’t have a clue what I’m talking about. Suffice to say, the drama classes aren’t going to happen any more. Lunchtime ends at 3pm – yep, that’s right, two whole hours for lunch. Some children go home, leaping on their father’s motorbike, or trailing behind after mum with their nose streaming because they want to finish their painting of a squirrel. Two hours works for the kids that go home, but the ones who stay here seem to have it a little tougher. They eat at 1, so it doesn’t take them long – even though there’s three courses every day. I eat at 2 o’clock, with the rest of the teachers, and try to imagine I understand what’s going on, when really I have no idea. Usually it’s the wrong thing – the other day I was convinced they were talking for twenty minutes about pasta, when I think in fact it was football. The children, when finished at approximately 1.20-1.30, then have until three to run rampant and generally scream themselves hoarse or collide into each other until they’re exhausted by it. This is when it’s not raining. When it is raining, they’re back into the classrooms they’ve spent all day in, playing Conectar Cuatro or trying to dance on the tables. 3pm, and classes begin again, with little point, in my opinion. The children are excited from lunchtime and playing, and they don’t want to do anything that requires concentration for over five minutes. I have one of my Science classes straight after lunch, and whilst I love it, it isn’t half a slog to get the class interested enough to participate for the whole hour. It’s not really what you would describe as a ‘Science’ class, of course, being in English. Most of the complex vocabulary relating to that subject prevents learning about osmosis, the central nervous system, or photosynthesis, and so on, and so on. 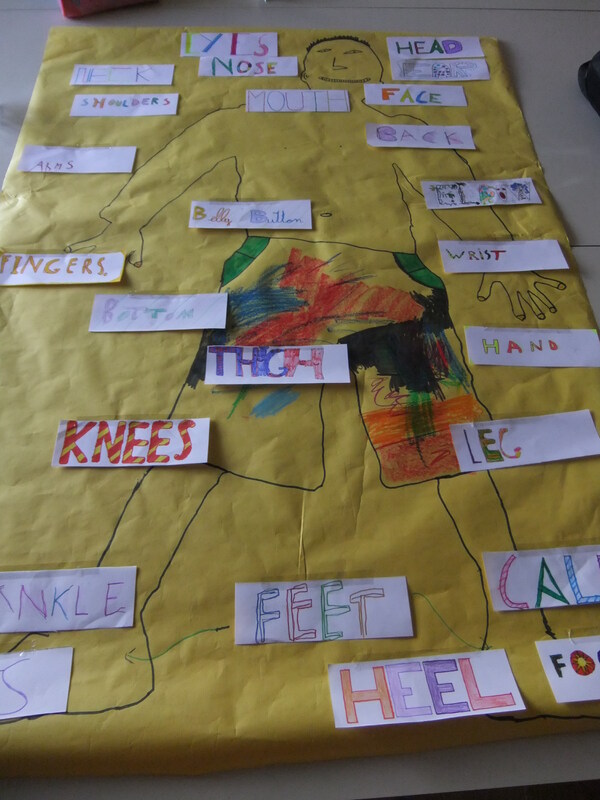 Instead, we learn about body parts, muscles, things we can feel, different senses, and parts of the skeleton for the older kids. I really enjoy it, and I think the children do as well – in my first session, they all moaned and groaned, but now when I come through the door they shout in happiness, and all of them tell me English is their favourite subject. So either I’m doing a good job, or it’s an entire class of teacher’s pets. It helps me pick up Spanish as well, even though I’m not sure how much ‘clavicular’ (collar bone), ‘caja torácica’ (rib cage), and ‘columna vertebral’ (spinal cord) are going to help me in my day to day life. What a Science lesson in English amounts to. This is our big version of Adriá, a somewhat willing volunteer who allowed himself to be labelled poorly in the name of classroom displays. The last lesson of the day begins at 4pm, and finishes at 5. The children watch the clock at this time, and are generally either asleep on their desks, or ridiculously overexcited because it’s nearly hometime. Most Tuesdays – my ‘small people’ day, I spend the last ten minutes of the day waking up a particularly sleepy little Natalia, who always conks out on the table and wakes up with a handprint on her tiny cheek, wiping drool from her mouth and looking especially confused at the girl who orders her to wake up in incorrect Spanish. Then we get the children dressed properly, as they’re still not able to figure out how to put on a rucksack the correct way, or notice that their ‘xandal’ (tracksuit) is on inside out. Home-time, and I’m usually hard at work, preparing tutoring sessions, learning Spanish (and failing), and looking for new ideas for Science classes. I spend little time with the family, who remain rather closed off, and occasionally play with the children if I’m not too tired or in the mood to be ignored for a good two hours by the parents. Dinner time can vary – they’re trying to get the children to bed earlier these days, possibly because of the winter nights, and that means dinner is often at 7:30, a staggeringly early time for Spanish ‘cenar’. Sometimes, however, it can be as late as 10pm, if we don’t eat with the children, and the parents unsuccessfully call me downstairs. I’m getting used to the way of eating, and now I’m even at a point where I can’t decide which I prefer. My mother kindly brought some parkin over when visiting recently, and it was rapidly devoured in the staff room over comments that it was rather rich, but all agreed it was certainly nice. When describing that it was made with oats, some had been a little timid about trying it, but gave a good effort and listened patiently when I explained in bad Spanish about November 5th and Bonfire Night. 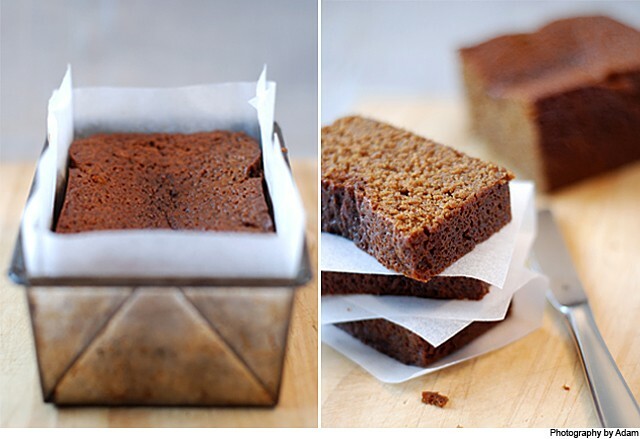 Parkin - northern, gingery, a nice homesickness cure. No day, of course, is the same, but I hope that what I’ve given is a taste of my life in a Spanish school – sometimes difficult, often testing, but very enjoyable all the same. All I can say is, I’m at a stage where I wish I could speak Spanish, had a PGCE, or a qualification (despite the fact that Spanish teachers receive a lower pay packet than English ones for much more work in the school day) and I’d try to teach here in an instant. 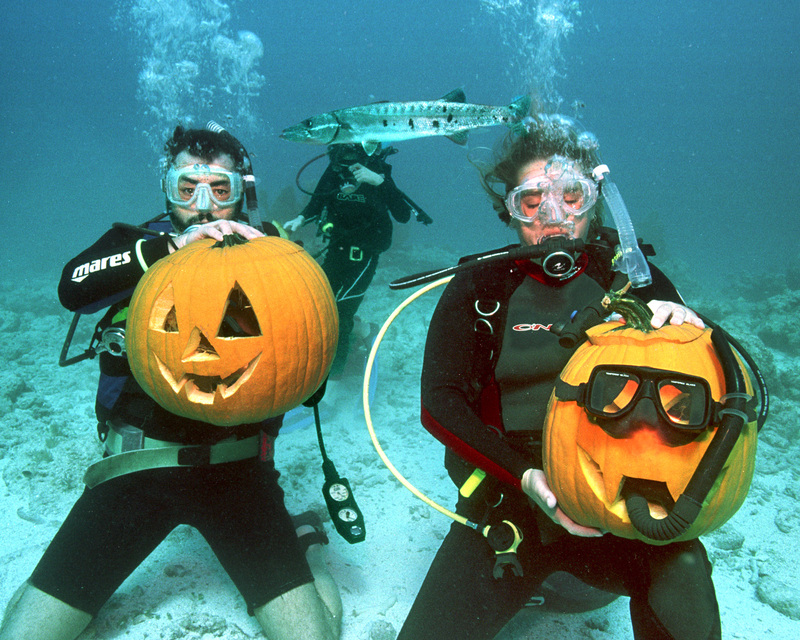 Picture an October without Hallowe’en. It’s pretty difficult to imagine, given that in England, it’s just something we ‘do’ – not as heavily dosed up as the Americans on sweets and tacky costumes, but certainly celebrated enough to rocket Hallowe’en spending in England up to roughly £4 billion this year alone. Yet here, Hallowe’en is something that goes relatively amiss. All week in school, I have been playing picture memory games with printouts of ghosties, ghoulies, haunted houses (‘hanteeed howze’), and pumpkins. The children absolutely love learning about Hallowe’en, because they’re already aware of it, but it’s just not done on the same scale here. Trick or Treating (Truco Trato) is a relatively new phenomenon, and most children don’t do it – they just have an American friend that goes in the next neighbourhood. I’ve also watched (umpteen times) a video of Jack, a young English boy from London, engage in the most civilised children’s Hallowe’en party on record. “Golly gosh, Jack, what scary pizzas you’ve made.” “Why thank you mama!” “Children, let’s partake in Apples on Strings!” “Oh, what super duper fun, hooray!” and so on, and so on, until you feel the need to visit Jack and burn his house down with a pumpkin lantern for being so smug in a witch’s hat. How not to light your pumpkin. This week, I’ve managed to learn new words in Spanish, though they might not be ones you want to add to your phrasebook. Writing out Hallowe’en menus with the kids is great fun, as of course, children’s fascination with the relatively disgusting means they are suddenly very keen to learn new English words. And the only way for them to learn, is to ask me – so, this week, my trusty diccionario has found the words for ‘sangre’, ‘ gusanos’, ‘piel’, and ‘moques’. I’ll give you a Rolf moment and ask if you’ve guessed what it is yet. Two I could legitimately use in an accident, and inform you there’s blood on me because I’ve cut my skin open – ‘sangre’ and ‘piel’. Now, the other two. ‘Gusanos’ translates as worms, which is handy to know, but not really as useful as ‘I’d like two stamps, please’, which I still haven’t managed to get under my belt. And the last, truly terrible one, doesn’t have a polite translation in English. I’ll just tell you that it’s produced when one has a runny nose, and we’ll leave it at that. 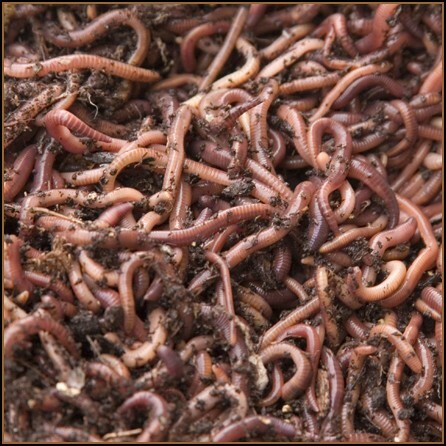 I imagine you always wanted to find out the word for these in Spanish. Each year I take great delight in carving up my pumpkin, usually whilst indulging in a nice macabre film – that’s an oxymoron if ever you heard one. Whilst I’m sure you can get large pumpkins here, I haven’t actually seen any – they’re all piddly little things that would take two minutes to carve out and scrape. Naturally, when we took to carving these, the insides didn’t yield enough to make my usual pumpkin pie. I miss the smell of nutmeg and cinnamon wafting through the house as the candle inside the pumpkin flickers through the gaping mouth. Here, however, the time around the end of October and the beginning of November is certainly nothing to be sniffed at and dismissed as boring, because they don’t do Hallowe’en. 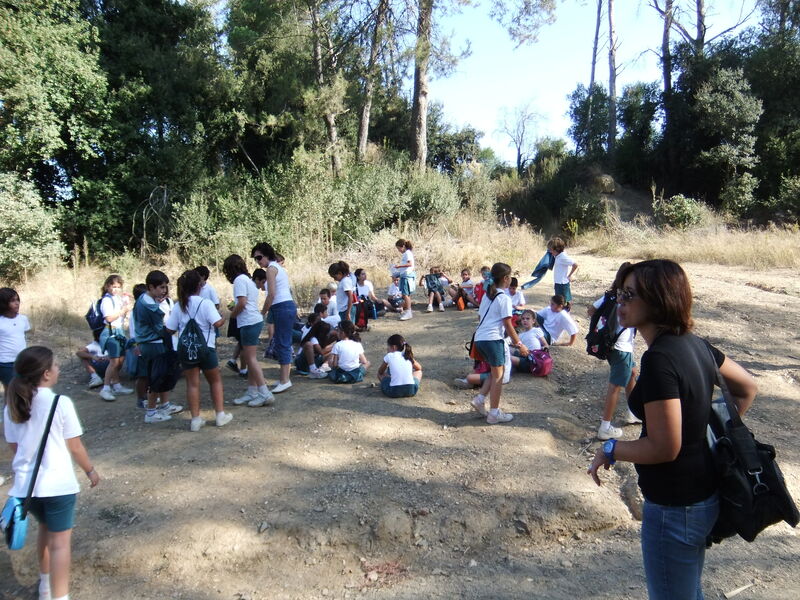 It’s the time to celebrate their own special festival – La Castañadas. This festival celebrates all that is autumnal, centring around something we also eat in this season: the chestnut. 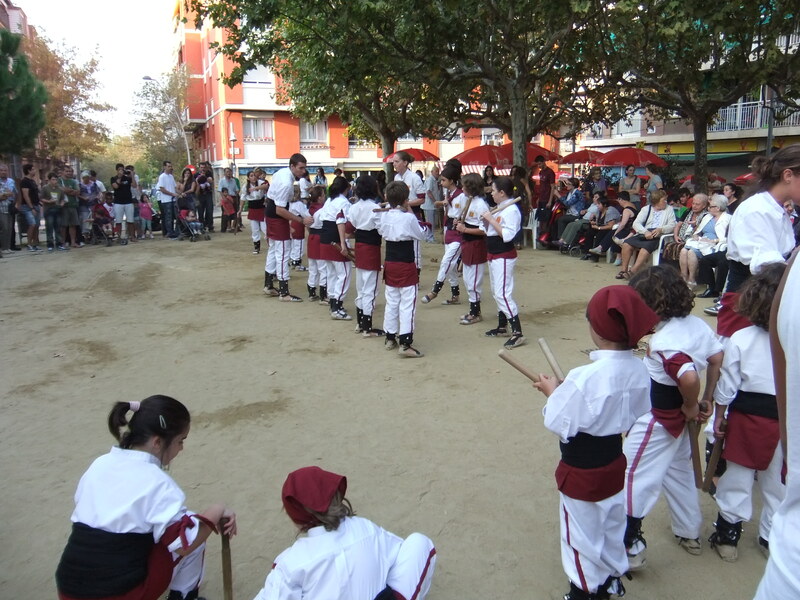 This humble little nut has sparked off years of traditional celebration in Catalonia. The school spent days preparing for this: in the dinner hall, their version of a Guy was set up and displayed. The children stuff clothes with newspaper to form a large ‘abuela’ – grandma. 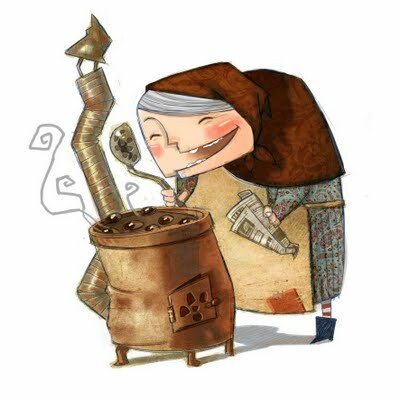 In our school, a stuffed old lady in what seems to be ragged or old clothing sits in a deckchair, frying pan smouldering on the fire, chestnuts dotted around the pan and floor accordingly. Select children dress up as the elderly lady, daubing rouge on their cheeks, adorning a headscarf, and pulling on ropey old skirts with a motheaten jumper. It’s become a happy celebration, much like Hallowe’en, instead of the sombre remembrance of the dead that it used to be. The children didn’t have lessons on Friday, and were hugely excited by the fact that thanks to the little old chestnut, they could spend the day playing games, watching films, and screaming in the corridor. La Castañera - that old chestnut. – You take a potato, peel it, boil it, and mash it down, same as mashed potato. – You add ground almonds to the potato and mix it all together, to form a sort of dough. – Roll the dough into balls and glaze with egg. Cover in pine nuts and put in the oven, until golden brown. Perhaps it doesn’t sound the most exciting of treats – the combination of egg, potato, and ground almonds didn’t really appeal to me, particularly when I learned you can flavour the mix with chocolate powder or similar to change the taste. However, I powered through my apprehension, and I’m glad I did. The taste isn’t like anything I’ve had before – somehow the almonds make it taste rather grainy and sweet, like a marzipan that hasn’t quite formed correctly or has gone wrong. You have lots of different types to contest with, also. Go to any Forn de Pan (baker’s), and you’ll see rows and rows of little panellets, all lined up and ready to be boxed up, tied with a ribbon, and taken to the family to share over the long weekend. 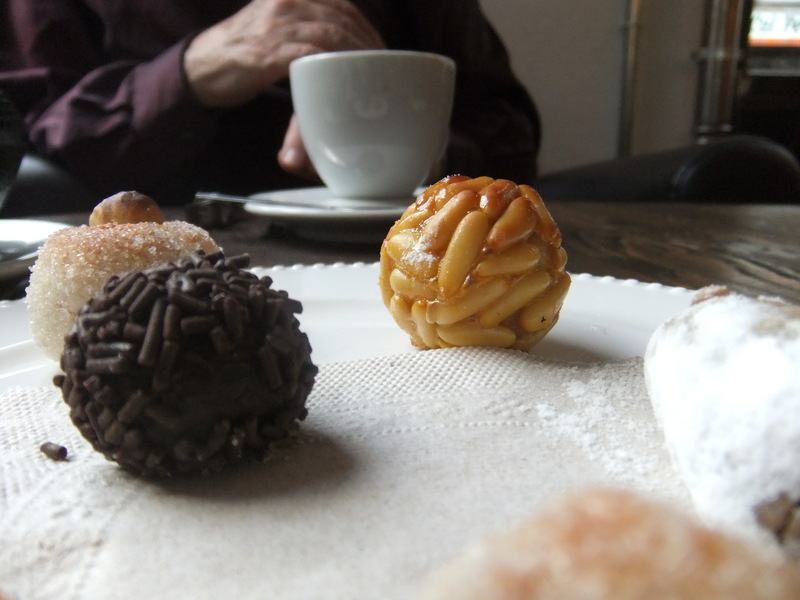 Panellets, accompanied with coffee, are the perfect weekend treat. A lot of the recipes and foods I see here, I wish we had in England. I’ve rather taken to the ensaimada, a roll of sweet pastry curled up like a snail, and dusted with icing sugar, that can contain custard like a danish pastry, be eaten by itself, or be glazed with chocolate for that extra cheeky treat. Another treat is Cacaolac, that the children seem to live off, a rich milkshake type drink, so sweet that if you drink it quickly, your head starts to spin. They eat a lot of meat, of course, and the smoked sausages, cured hams, and chorizo, are wonderful, if a little on the salty side. Oil is daubed on everything – but it’s okay, because it’s olive oil, and that means it’s healthy, or at least they keep telling me. 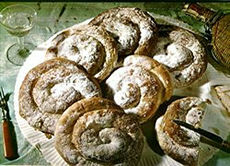 Ensaimadas, the trick to a healthy Spanish diet...or not. It’s not as easy as Ah, Be, Ce…there’s Ch as well. Learning to survive in both Catalan and Castillian is no mean feat. Firstly, we have the difference between the two languages. Catalan is a rich and complex language, one that I am struggling to understand properly – partly due to the fact I understand French quite well, but mostly due to the fact I am struggling to separate Catalan from your regular day to day Spanish. For instance, take the word ‘cheese’. In Spanish, this translates to ‘queso’, but in Catalan, it’s ‘formatge’, a word that looks altogether too familiar in the guise of ‘fromage’ (French). Most publications are written in Catalan: forms and official documents, and road signs. Schools teach only in Catalan except for their English and Spanish lessons, during which the main language always returned to is – you guessed it, Catalan. The family I am staying with speak solely Catalan at home. The teachers around the table at lunch speak in Catalan, but can switch to Spanish with the drop of a hat. Prick your ears and you might just hear the difference. The weather man on the Catalan news speaks so rapidly I’m worried he’s going to take off. So is it any surprise I am picking up only snippets of Spanish, and becoming used to the Catalan phrases? Every day, I bid colleagues ‘adéu’ rather than ‘adios’. I tell the children ‘molt bé’ rather than ‘muy bien’. I’m speaking in a mix of four languages: English, French, which pops into my head first as it’s the only other language I have a basic grasp of, then Catalan and Castillian finally pipe up, usually in the wrong format/a useless order. I start making words up that don’t exist, simply because I believe they sound like they fit. 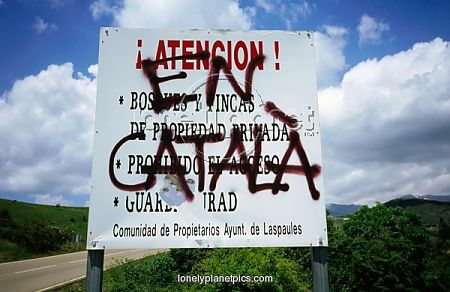 Graffiti, demanding 'In Catalan' over Castillian road sign. It’s difficult to express how hard it can sometimes be here. I do love the experience, and teaching the children is fabulous – they are so inquisitive, and it’s sweet how much pleasure they get from asking questions that seem so inconsequential to us (‘Do you like funfairs?’). But how can I express, when sat round the dinner table, the fact that I miss my own language, my own idioms, the fact that if I talk about wanting to go to the chippy, someone will understand me. The greenery of England, rolling hills, driving on the correct side of the road. 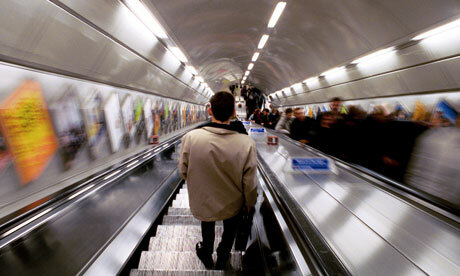 One thing that strikes me, is that in the Barcelona metro, people very rarely stand on the right – an offence that in London would most likely have its citizens reacting like a lynch mob, shooting daggers and shouting at the idiot who dares come to a standstill on the left of the escalator. The Underground in London on the daily commute is crammed to the brim with people not engaging in eye contact, expressionless faces focussed on their iPad, Kindle, or newspaper. Here, people don’t seem to care about that sort of technological gimmickry. The one man I saw with an iPad turned out to be English in the end (or, at least, it looked like he was – he was reading an English article on stated gadget, and, well, you can just tell, can’t you?). Another difference I am finding, is that the discipline in English schools – if you can believe it – actually pips Spanish discipline to the post, from experience of a primary school here. Today, at school, the children in the equivalent of our year four watched a video about an English school. My, they were impressed. We always called our teachers Miss/Mrs/Mr/Sir, or Ms, for the really obstinate feminists/divorcees/unlovable women/cat ladies. At the beginning of the school day, you answer ‘Here, Miss …’, awaiting your turn to speak up in silence. Ties are commonplace in English schools. In many schools, when the teacher enters, you stand up, or tactics such as ‘hands on head’, ‘fingers on lips’ are used frequently. The children were so impressed that kids their age were wearing a tie. Gasps of ‘Mira! Les noies estan usant corbates!’ (‘Look! The girls are wearing ties’) were heard around the room, among comments that my, didn’t the English girls and boys look smart. I wish they could have seen my tie when I was at high school – the fashion being then that you would make it appear as small as possible, tied as loosely as you could get away with, for fear of someone yanking down on the end and strangling you with full force. I’m not so sure they would have been quite so impressed with that. Polo shirt is the standard option here for uniform, and teachers are most certainly not addressed as ‘Miss’, or ‘Sir’. The children use the teacher’s first name, something that to me seems so ridiculously informal, I still can’t get used to it. Assembly, the only time I saw it (they don’t have it every week, like we do), was such chaos I think my ears are still ringing from the excitement. I won’t sweet-coat the experience and say every moment is a pleasure when taking groups of children out the class into another area to start conversation practice, but it’s very rewarding, and most of the children, you can see are interested and excited to learn or speak English. They ask you questions, ones I haven’t been asked for years, so often that it feels like I’m on a first date with the entire school: I’ve changed my mind about my favourite colour several times, just so I don’t have to keep repeating the word ‘pink’ on a daily basis. I do love how excited they are when they find out you have something in common – that we both like tigers, or we listen to Lady GaGa. Getting used to the names is a big struggle for me: what seems unusual to me is common over here, and instead of your Johns, James’, Emmas and Sarahs, you have ‘Pol’, ‘Pau’, ‘Irene’ (say ‘Eerayni’), ‘Oriol’, and ‘Xavier’ (the Catalan version of ‘Javier’, but you say ‘Shavie’, ‘X’ being a ‘ch’ sound, which I’m getting used to, in words such as ‘Xocolate’, and the more unusual name ‘Txema’, said like Gemma, but actually a boy’s name). Author savageartsPosted on October 20, 2011 Categories Catalonia, Children, Languages, School, Spain, Teaching, Travelling4 Comments on It’s not as easy as Ah, Be, Ce…there’s Ch as well. After being in Spain for five days now, I’m beginning to get into the swing of things. The school days were a shock for me: children here start school (usually) at 3 years old, and the average day is nine until five o’ clock, the same as a working adult in the U.K – although they do get two hours for lunch. As you can imagine, for a three year old, this is very hard work. I took my first class of four year old ‘nens’ yesterday – and they were completely exhausted, sleeping away on their desks, even during a rousing session of ‘I’m happy, happy, happy, happy’. Which is probably a good idea on their part, considering the song is as boring as it sounds from that title. ‘Nens’ is the Catalan word for ‘children’ – similar to the Spanish, but as usual with Catalan, they like to take words you’re familiar with and give them a shake around, but not enough for you to notice in everyday conversation with an untrained ear. Many times in regular conversation, people in Catalunya can change from Castillian (regular Spanish to you), to Catalan in the space of a sentence. I take my lunch with the teachers, and conversation is of course, muy rapido, but when you team that with the fact that I don’t actually know what language they’re speaking in, I’ve taken to enjoying what’s on my plate and immersing myself in the banter, listening hard, hoping I’ll absorb it through spongy ears. Maybe one day I will wake up and find Catalan on the tip of my tongue, like a taste that I’ve grown accustomed to over a period of time: the red wine of the language world. Life here is very relaxed, despite the long days. Perhaps the long days are partly due to their relaxed attitude on life: at first, I was very surprised that the children of the family I’m staying with did not go to bed until around nine in the evening (they’re made up of three girls, one 2, and 6 year old-twins). Now, it seems to make sense. They’re not much more tired than most English schoolkids, from what I can see: and the late lunches and dinners make for a much less rushed eating experience. Take your time, seems to be the message here. Although, for a country famed for its siestas, not once have I heard anyone mention they’re having a nap (apart from the two year old). The school, in fact, introduced a rule in which children were no longer allowed to take a siesta after lunch. This does result in quite irritable/despondent children at four in the afternoon, but doesn’t seem to affect them too terribly. 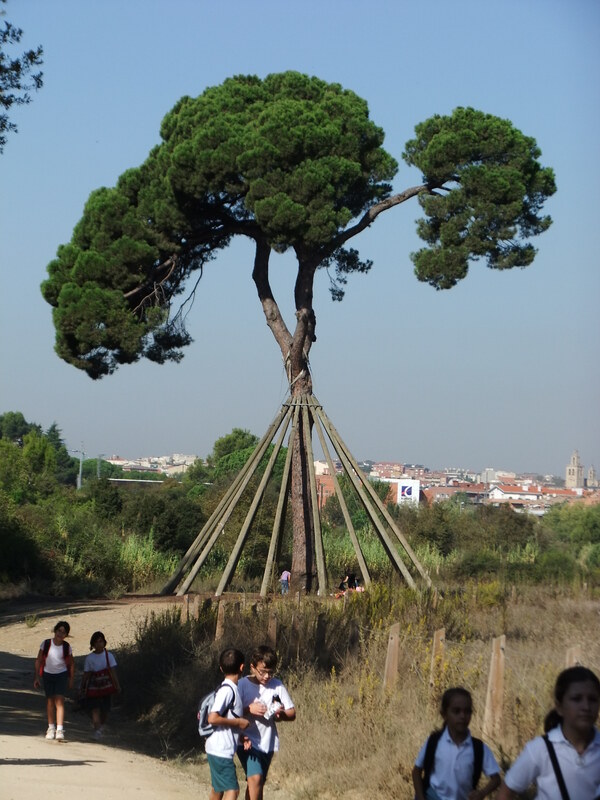 School trip to 'Pi d'en Xandri', a local symbol of Sant Cugat, a 230 year old tree: a walk to celebrate St. Francis' day. The children can clearly see I’m English – pale, blonde hair, and a complete inability to reply to anything they tell me in Catalan spoken at a hundred miles an hour. They love shouting ‘halo, how you?’ in the corridors, and waving at me. I’ve become a big tree trunk to hug for the very little ones, swinging my arms from side to side as they hold my hand because it’s the only common language we have. With the older ones, I’m a welcome outlet for them to ask all the burning questions they’ve always wanted to ask – ‘What’s your favourite colour?’ ‘Do you like sport?’ ‘Are you American?’ I love being in the school, and I know it’s an environment I simply have to be around for the rest of my working life: I absolutely love the challenges you face on a day-to-day basis: will the kids listen to me, who will be difficult today, how can I engage them with subjects that on the surface seem too boring for words? All being considered, I think it is safe to say I’m going to love my time here. Barcelona is loving me, and I’m reciprocating. 'Tiger Mosquito' bites: the Godzilla of the little flying nuisance world. Speaking Konglish Create a free website or blog at WordPress.com.